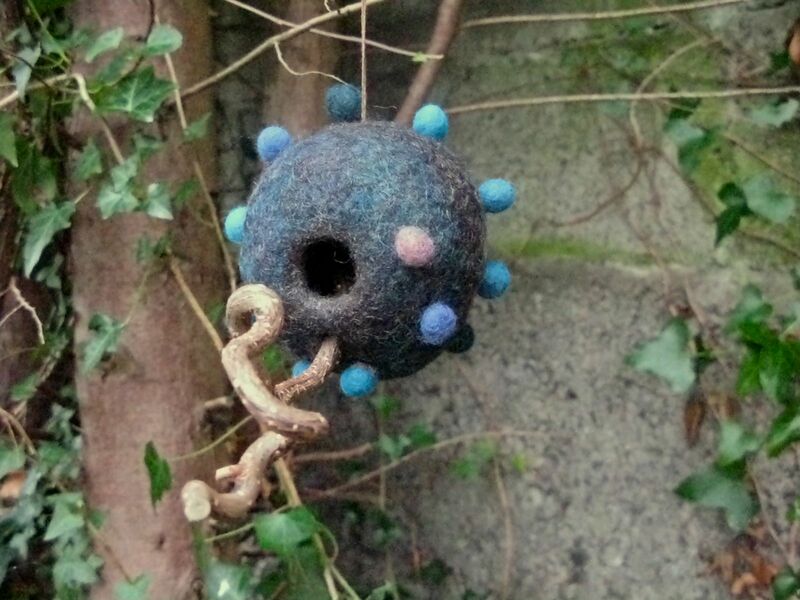 Ever wondered if a birds nesting ‘box’ could be made in felt? Anne Walsh has been experimenting with the idea using the techniques she learnt from Pam McGregor last year in Amsterdam. She doesn’t claim that the vessels will work as bird nest sites or feeding stations (that’s up to the birds) but they can be pretty and the techniques would work for many sculptural forms.